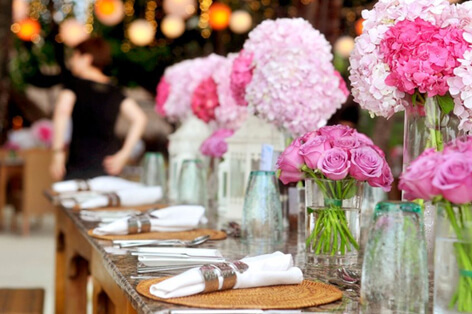 New York party planners know that venue selection is one of the biggest aspects affecting the success of an event. The venue you and your event planner collectively select will establish the mood and functional capabilities of your event, so taking the time to really pinpoint what will work will make everything else go smoothly. We’ve put together a list of trends we’re seeing pop up in the area of venue selection and where we think the future is taking us. While mainstay venues like hotels are still very popular for corporate events, weddings, and mitzvahs, people seem to be craving unique and exciting venues that add an element of surprise and creativity. Venues like art galleries, museums, landmarks, and theaters are becoming increasingly in demand for special events. These types of venues go beyond expectations and can really dazzle the senses of guests, creating a night that will remain memorable for some time to come. This is one trend we are really on board with. Technology and social media are now an integral part of event planning. Selecting a venue that supports the necessary technology needed for your event is quickly becoming a determining factor. If a venue doesn’t deliver on basic technological set ups like Wi-Fi and audio-visual equipment/capabilities, it’s a deal breaker for a lot of people. A lot of venues have contracts with various other service providers like caterers, photographers, and AV technicians. If you want to use a venue like this, they will most likely not budge when it comes to allowing you to choose your own providers. This has worked well for venues in the past, but in the future, venues that are more customer service oriented will become more in demand. People are gravitating toward having every variable of their event meticulously curated, so a one size fits all package is no longer appealing, especially for weddings. More and more people are wanting to hand pick and personalize all the details of their events, and venues that cater to this demand will become more popular. Of course, venue selection is something that should be discussed with your event planner. They will note all of the requirements of your event and work with you to find the perfect space. Successful Affairs has been locating the best venues in NYC since 1988. Contact us today to start your search.